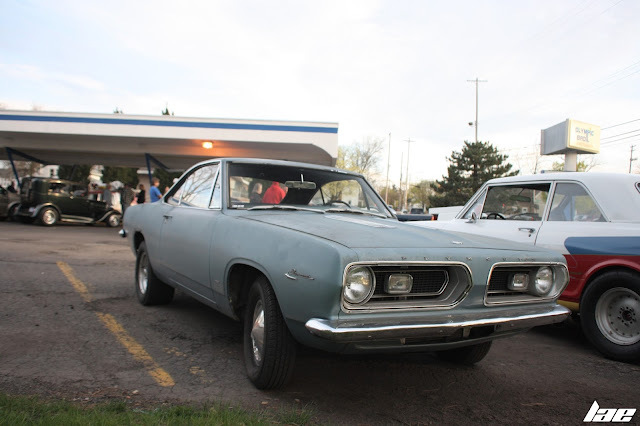 Throughout the year, the Olympic Broil, a small restaurant in Lansing, known for their Olive Burgers and Deep-Fried Mushrooms, hosts a Cruise-in. 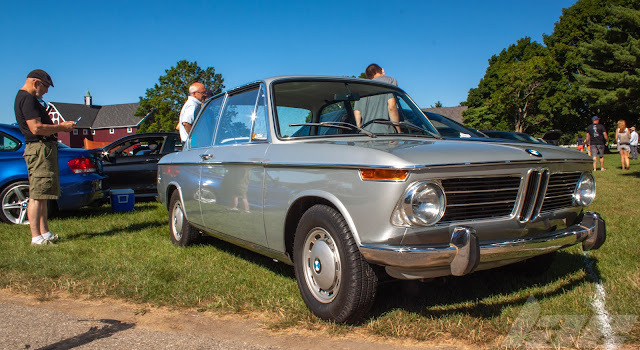 Most of the cars and regular attendees are part of the Lansing Street Machine car club. 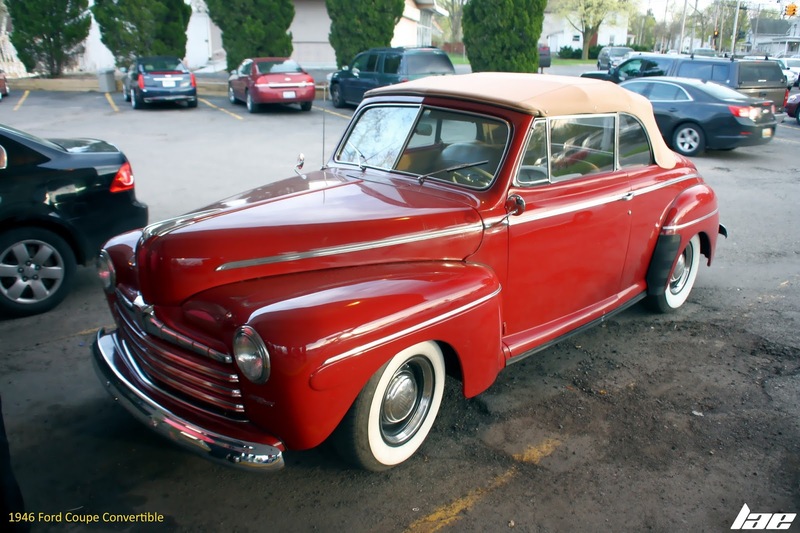 This 1946 Ford Coupe Convertible was pretty cool. 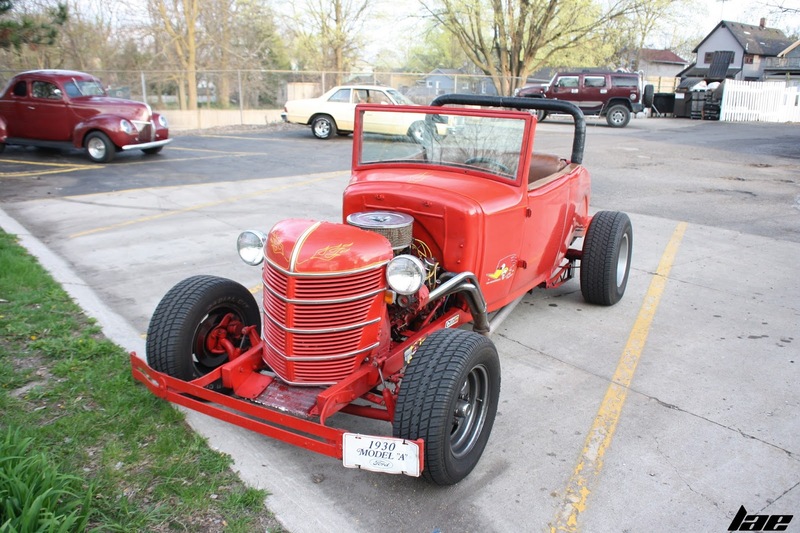 At first glance, it looks to be a decent restoration project. 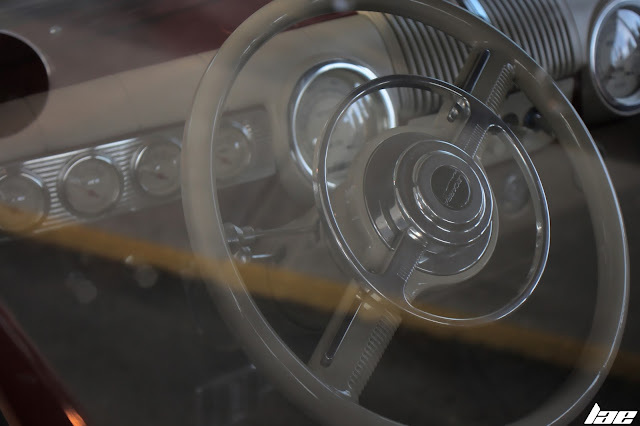 At closer glance, the Speedometer goes up to 145, and there are seatbelts added. This Ford Model A hot rod is representative of many such cars from the 80's and 90's (Pre-LS1), with it's 350c.i.d. 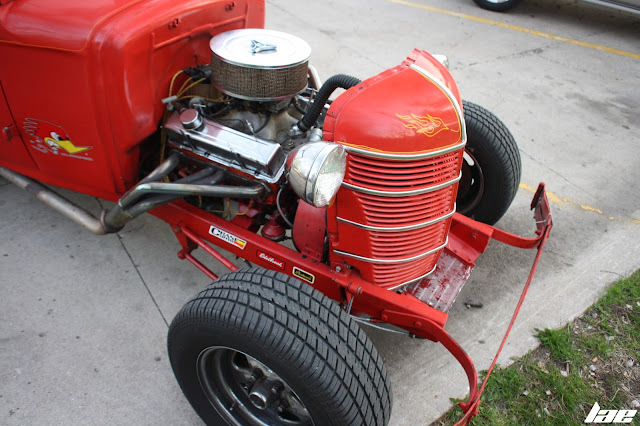 V8 and seats from a pickup truck (Chevy SSR). This is the first car I saw when I got there tonight. 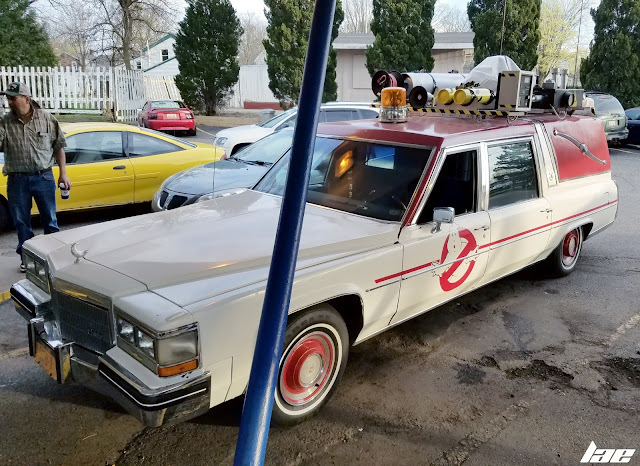 This Caddy Hearse has been converted into the Ecto-1 from Ghostbusters. 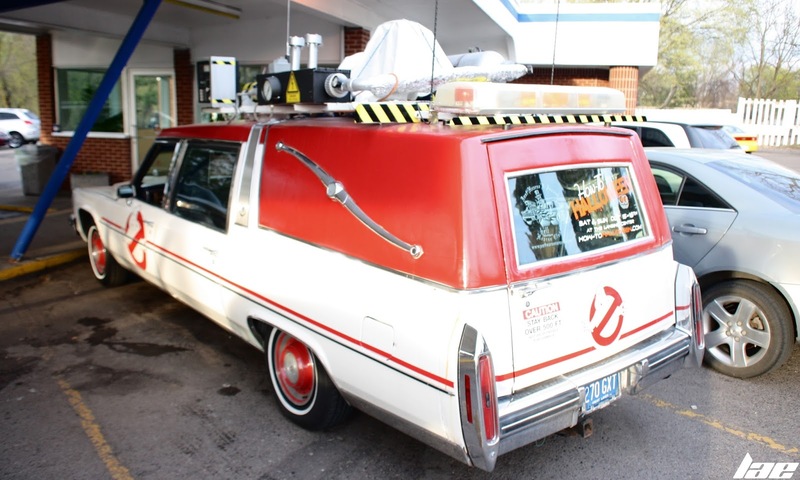 I'm not exactly familiar with the Ecto-1, but there seems to be alot of equipment on the roof..was there this much on the original? 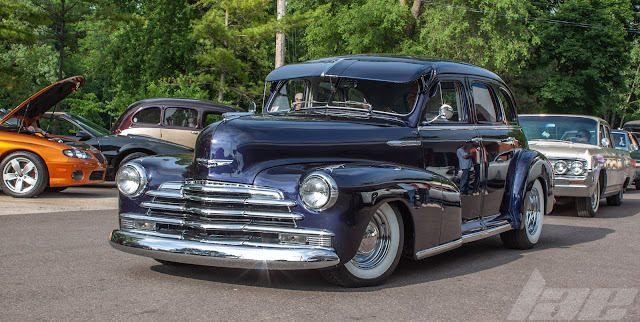 This Chevy was pretty cool. 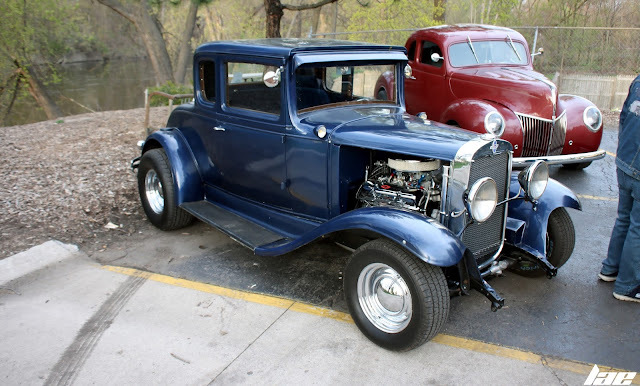 Another street rod done up in the traditional style. 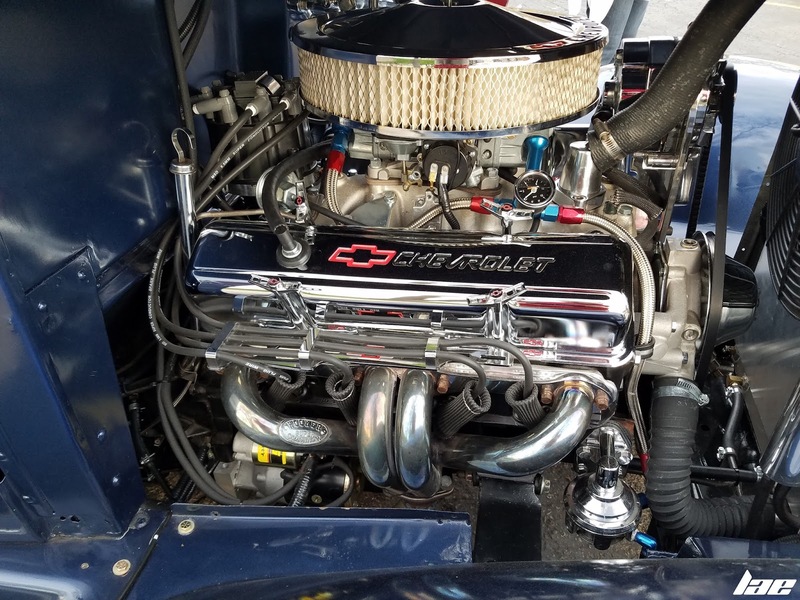 The chevy small block was so clean! 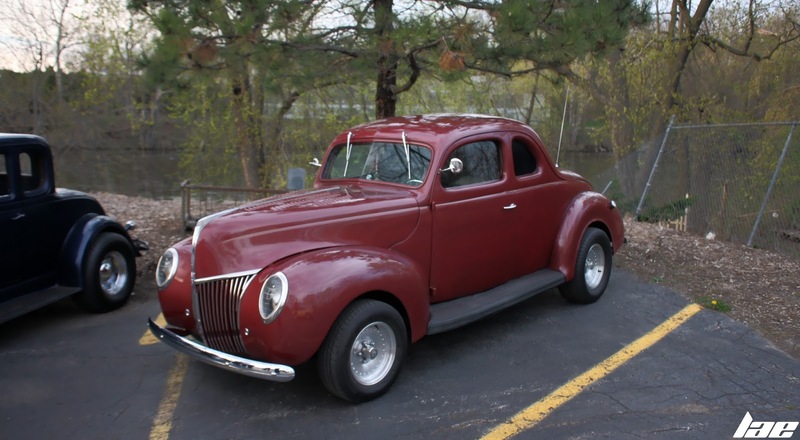 This 1939 Ford Coupe was a bit interesting. 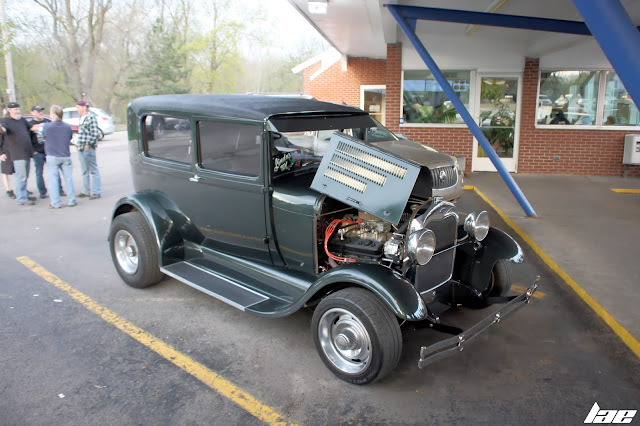 It looks stock, though the owner told me it's far from it. It's sitting on a frame from a late 60's Camaro, with the 350 V8 from another Camaro. This Malibu was pretty cool. 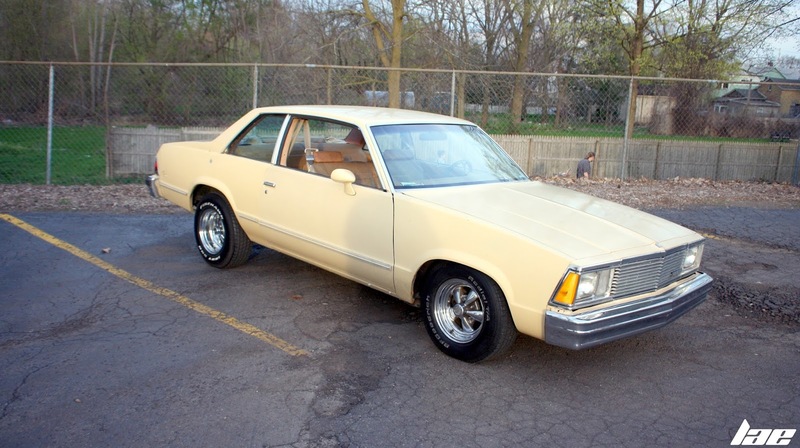 The last body style before the Malibu became Front-wheel Drive. And you don't see cars in this color anymore. 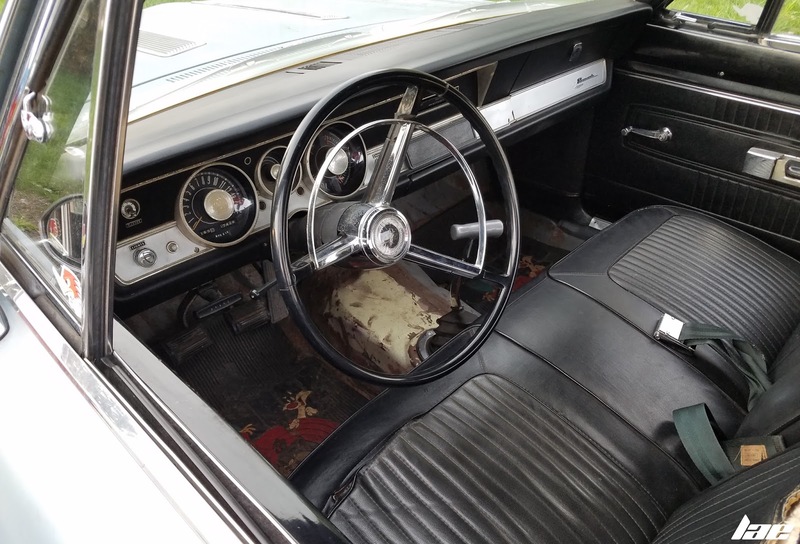 This Mid-'60's Barracuda was pretty cool. The general work-in-progress looks pretty cool. I'd love to see what I could do to one of these. I'm not sure what the nose section is from, but it seems to fit fine. And the exhaust headers are pretty cool. 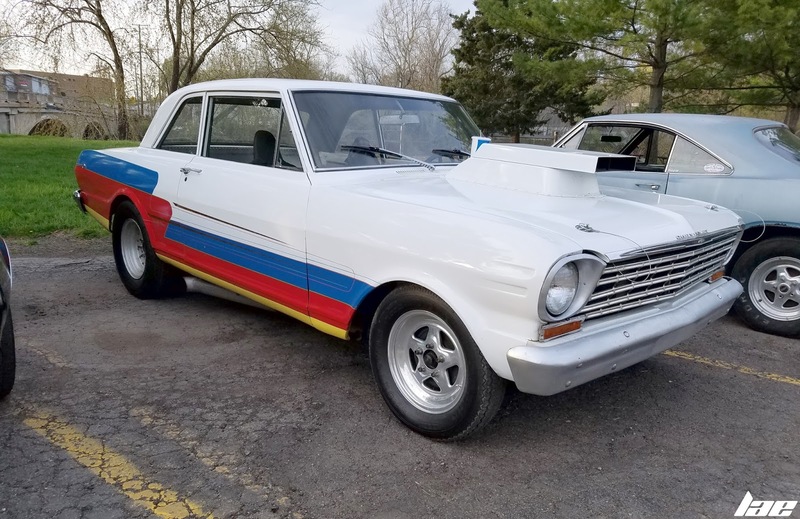 Correct me if I'm wrong, but I want to say this is a Chevy II...? Also..pretty cool 90's Drag car build. 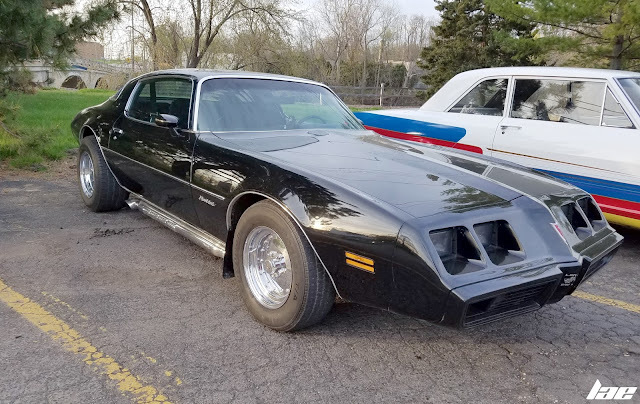 I'll end with this Pontiac Firebird Trans Am. 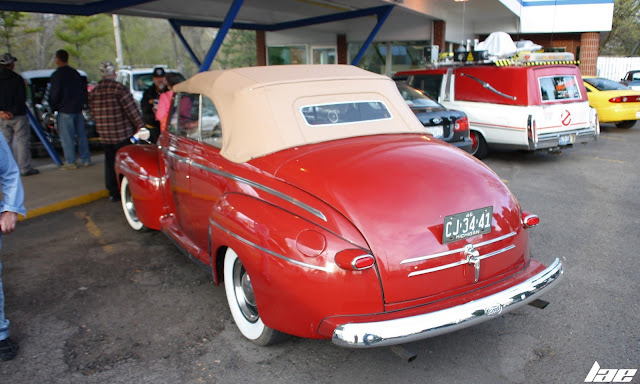 This car has been at every cruise in at Olympic Broil i've been to, as well as a few Cars and Coffee events. Thanks for reading. 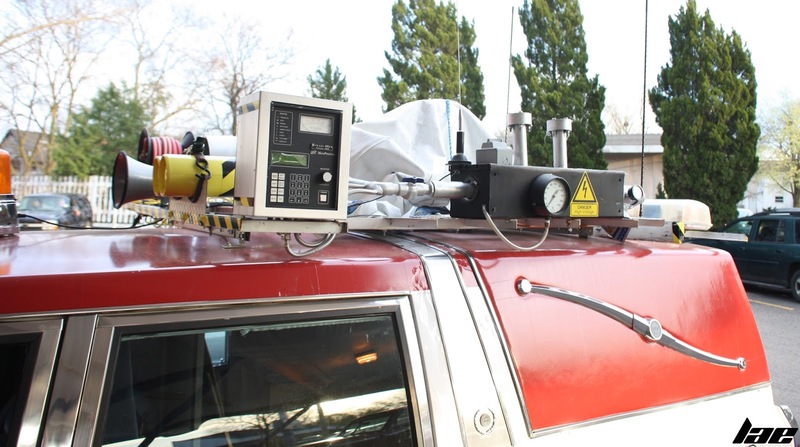 Be sure to check back for more content soon!